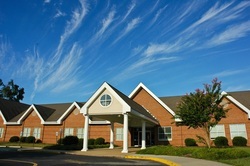 Summit Christian Academy operates under the Carver Model of policy governance. Policy governance separates issues of organizational purpose (ENDS) from all other organizational issues (MEANS), placing primary importance on those Ends. Policy governance boards demand accomplishment of purpose and only limit the staff’s available means to those which do not violate the board’s standards of prudence and ethics. 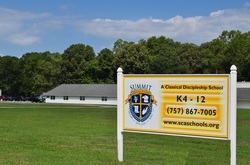 The board exists on behalf of parents and other constituents with vested interest in the school to assure that the vision and mission of Summit Christian Academy are being accomplished. All authority resides with the board unless it delegates some to others. The Policy Governance model begins with this assertion and then proceeds to develop other universally applicable principles. Chief among these principles is the concept that the board delegates as a group with one voice. This means individuals do not speak with lone authority as individuals but as members of a group with one voice. They delegate predominantly to the headmaster who determines the means by which the board’s pre-established ends are accomplished. The board then carefully monitors the headmaster’s performance to assure that these ends are being met.